﻿ How To Share Email Results With Your Team » Red Mango Marketing! Whether you’re sharing the results of your latest email marketing campaign with your team, other departments, or the people that sign your paycheck, your goal should be to show how email marketing is impacting your business. Instead of sharing a handful of numbers out of context, it’s better to paint a picture of intent, explain how your email performed, and then connect it with the rest of your strategy. Once your team knows what should have happened, they’ll better understand what did happen. They’re going to have questions, so make sure you’re prepared with the right details in your report. Get easy-to-read reports to track your marketing success in real-time with Constant Contact’s email tracking tools. Ask any email marketer how their latest campaign performed and the first thing they will tell you will be either one of two things: open rate or click-through rate. We know there’s more happening in each email than just opens and clicks, so instead, go further and cover the results that impact your business. Beyond opens and clicks: Did people then do what you wanted them to do? How many calls did you receive? How much money did you make? How many people volunteered? Were there any donations? There’s no way to know if you’ve hit a bullseye or entirely missed the mark if you’re not aiming at something. Working towards a benchmark and constantly tweaking your strategy along the way will help you reach your goals quickly and efficiently. It also helps keep each campaign on track with the overall goal, rather than veering randomly from one send to the next. Set expectations ahead of time with your team as well. Knowing what to expect for open and click rates, revenue, and even new signups or customers will help you gauge the success of your campaign after you hit send. Whatever the goal, make sure the whole team is clear on what you’re hoping to achieve. Then you can better explain to your team and higher-ups what actually happened after the email went out. No matter what the results are, keep a testing mentality and treat each send as an experiment that informs your next campaign, letting your strategy grow organically. Marketing is most effective when multiple coordinated efforts are pushing towards one goal. All of your campaigns should be presenting a resounding message that can sink in and drive customers to act. Your email should not only connect to emails you’ve sent and will be sending, but also to the overall marketing goals. Looking at the results of your email, you gain unique access to the thoughts and feelings of your customers. You’ll see what language resonates with them, what visuals keep them interested, and what products or topics keep their interest. Those learnings let you sharpen your marketing from a more informed position and helps you make smarter choices. Each email should be a test that informs the next, constantly shaping your campaigns to better suit your customers’ needs and wants. Before creating an email, make sure you have a hypothesis to test and then use the resulting analytics to either prove or disprove that theory. Even if the results of your latest email are so holy-moly-this-is-amazing good that your team starts weeping with joy, consider how those results are going to influence your next campaign to make it better. It often helps to zoom out and see how email marketing is contributing to the overall goal. This not only helps you look good, it also makes you a better marketer. No matter how good your emails are now, through experimentation and careful review of your resulting analytics, they can become more and more effective. Not only will you become better at knowing what your customers want, your team and business will be happier with the results. 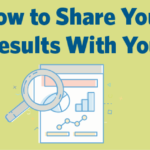 The post How To Share Email Results With Your Team appeared first on Constant Contact Blogs. This entry was posted on Wednesday, March 7th, 2018 at 8:00 am	and is filed under Email Marketing, News & Updates. You can follow any responses to this entry through the RSS 2.0 feed. Both comments and pings are currently closed.